In what appears to be the largest insurance bad faith verdict ever handed up in Pennsylvania, a federal jury has awarded more than $7.9 million – including $6.25 million in punitive damages – in a doctor’s claim that his insurer’s failure to offer the limits of his policy led to a $2.5 million malpractice verdict against him. 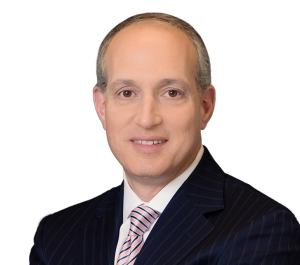 The verdict in Jurinko v. The Medical Protective Co. is a victory for attorneys Mark W. Tanner and Peter M. Newman of Feldman Shepherd Wohlgelernter Tanner & Weinstock and Mark Frost and Gregg L. Zeff of Frost & Zeff. Frost had represented plaintiffs Stephen and Cynthia Jurinko in a medical malpractice suit against Paul G. Marcincin for allegedly failing to diagnose Stephen Jurinko’s skin cancer. After Marcincin was hit with a $2.5 million verdict in April 2002, he assigned his rights to the Jurinkos to pursue his bad faith claim against his insurer, as well as his rights to pursue a legal malpractice case against his lawyer. Zeff had originally filed the bad faith suit on his own, but Tanner and Newman were added to the team, with Tanner taking the lead role at trial, because Frost was a “necessary witness” in the case and therefore could not act as trial counsel. Now a federal jury has found that MedPro engaged in bad faith by refusing to offer any more than $50,000 – instead of the full $200,000 of Marcincin’s policy – to settle the case. The Jurinkos, Tanner said, decided not to pursue Marcincin’s home and assets, but instead to accept an assignment of his claims against his insurer. In its verdict, the jury awarded the Jurinkos more than $1.6 million in compensatory damages – the difference between Marcincin’s policy limit and the “excess” verdict against him, minus $1 million contributed by the CAT Fund – and $6.25 million in punitive damages. The insurer’s lawyer, Jeffrey Lerman of Montgomery McCracken Walker & Rhoads, said yesterday that he intends to “vigorously appeal” the verdict, and that he believes it should be overturned because there was no evidence that MedPro ever truly had an “opportunity” to settle the case for an amount within the policy limits. 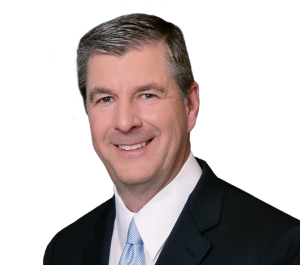 The verdict is the largest bad faith award ever reported in Pennsylvania, according to attorney Richard L. McMonigle Jr. of Post & Schell, the author of Insurance Bad Faith in Pennsylvania, the sixth edition of which will be published by ALM next month. The six-day trial before U.S. District Judge Cynthia M. Rufe was a complicated one in which the jury heard conflicting testimony about settlement discussions at various stages in the Jurinkos’ medical malpractice case. The Jurinkos had sued Marcincin as well as SmithKline Beecham Clinical Laboratories and one of its doctors, Andrew S. Edelman. Stephen Jurinko blamed both doctors for failing to diagnose his skin cancer at a time when it could have been cured easily. Instead, he said, the cancer metastisized and spread and required extensive surgery to remove lymph glands, as well as a year of interferon treatments. Evidence at the trial showed that Edelman, who performed the laboratory tests on a biopsy from a lesion on Jurinko’s nose, had reported that he found no cancer. But the report also said that the biopsy sample was insufficient. Frost contended that Edelman should have found the cancer in the first biopsy test, and that his error was compounded by Marcincin’s failure to order a second biopsy. Prior to the trial, Philadelphia Common Pleas Judge Sandra Mazer Moss held a settlement conference in which she placed a value of between $1.5 and $2 million on the case, and recommended that each defendant – Marcincin, Edelman and SmithKline – each pay a one-third contribution. According to court papers, SmithKline settled during the trial for $525,000. Common Pleas Judge Alfred J. DiBona, who presided over the trial, recommended during the trial that the case should settle for $1.6 million. Frost testified that he had originally demanded $1.6 million, but later won approval from the Jurinkos to accept a total of $1 million. With SmithKline’s $525,000 already in hand, Frost said the case could have settled for another $475,000. Since the CAT Fund had already agreed to contribute $300,000, Frost said the settlement could have been reached if MedPro had offered the full $200,000 of Marcincin’s policy. Frost also said that, during jury deliberations, when the jury had a question about damages, DiBona told the defense lawyers that it was not too late to settle. But no settlement was reached, Frost said, and the jury returned a $2.5 million verdict in which it exonerated Edelman and found Marcincin 100 percent responsible for the missed diagnosis. But Lerman said the bad faith claim against MedPro should never have gone to trial because the evidence showed that Frost never told defense lawyers that he had reduced his demand. As a result, Lerman said, MedPro relied on DiBona’s recommendation that at least $1.1 million more was needed to settle the case. And since the CAT Fund was offering no more than $300,000. Lerman said, MedPro had no reason to know that the case could be settled for an amount within Marcincin’s policy limits. Under the bad faith statute, Lerman said, an insurer is liable for an excess verdict only if there is proof that it had an opportunity to settle for policy limits and refused to do so. But Tanner said internal documents from Medical Protective’s adjusters showed that the insurer was aware that the case could have settled for a total of $1 million. According to court papers, Marcincin was defended at trial by attorney James P. Kilcoyne of Plymouth Meeting, Pa.
Tanner told the jury that, after the case was settled with SmithKline, Marcincin told Kilcoyne during every lunch and after recess in the evening to settle the case. During the trial, Alff contacted Kilcoyne and advised him to increase his offer to $150,000 if the CAT Fund would put up $500,000, but Frost was never informed of that, Tanner said. When Frost attempted to restart settlement talks, Tanner said, he was told by DiBona that the remaining defendants were not offering any more money. As a result, Tanner said, Frost believed prior to the verdict that the only offer on the table consisted of $300,000 from the CAT Fund and $50,000 from MedPro on behalf of Edelman. Tanner said MedPro’s failed strategy in the first trial was mirrored in the bad faith trial. Although the Jurinkos were willing to settle the bad faith claim for a figure between $1 million and $2 million, Tanner said, MedPro never offered any more than $500,000, and later rejected an offer to enter into a high/low agreement prior to the verdict. “Their refusal to negotiate is what got them in trouble in the first place,” Tanner said. If upheld, the verdict could have a direct impact on Marcincin’s legal malpractice suit against Kilcoyne, which was also assigned to the Jurinkos. Kilcoyne’s lawyer in that case, Jeffrey B. McCarron of Swartz Campbell, said yesterday that the bad faith verdict effectively deprives Marcincin of any damage claims against Kilcoyne. McCarron said he also intends to argue that Marcincin can’t pursue the legal malpractice claim because the theory directly conflicts with the theory in the bad faith case. By blaming MedPro for the excess verdict against him and winning on that claim, McCarron said, Marcincin would be legally estopped from pursuing a claim in which he said the same damages were the result of Kilcoyne’s conduct.